Editor's note: Here's another never-before-translated tidbit of wisdom from the priests of Russia. (Follow us on YouTube). He's not speaking English here, but sometimes he does, and he is very good. Full English transcript follows below the video. Fr. 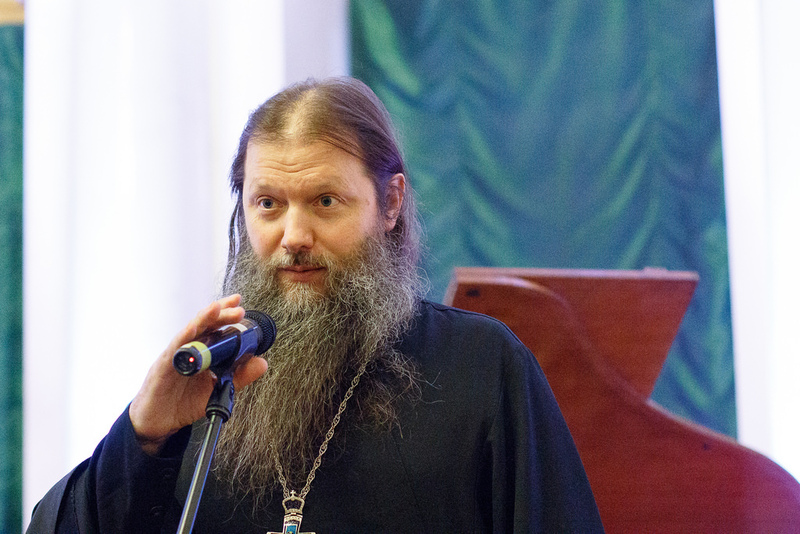 Artemy is very soft-spoken, a rather unusual phenomenon in Russia, where forceful priests who often speak bluntly and directly are more the rule than the exception. Meanwhile, he often uses symbolic and poetic language, betraying his literary background (Let us know what you think of it in the comments!). Here, he speaks of Depression, the bane of the wealthy, profligate world....how to reverse the darkness and turn it into light. In the USA, which is well-known for the highest energy consumption per head (higher than in Europe, not to mention the Third World Countries), people can't do without psychologists, psychoanalysts, astrologists and psychiatrists. And almost everyone is on antidepressants. It's reasonable to take medicine in some cases but when it comes to the majority of population, there's something fishy here, isn't there? It turns out that the level of prosperity and increasing demands don't bring happiness to the soul. They don't give liveliness, joy and hilarity to the heart. On the contrary, cherished and overfed teenagers who are provided with food and lodging don't know how to deal with their inner emptiness and how to fill it. They suffer from a lack of life purpose. Looking for adrenalin, they sometimes do terrible things, extreme or suicidal. Others lash out irrational aggression, enjoy making others suffer. What does this clearly show? That life without Jesus Christ is empty. Those who haven't gained a foundation in Jesus Christ and don't know the living God and who removed themselves from the Grace of God are not completely people, but two-legged intelligent creatures suffering from never-ending inner pain. It's not the body that is in pain, but the soul, our eternal self. God is Fullness who fills all in all. He is the Saviour, Alpha and Omega, the Beginning and the Ending, the Fountain, the Reason and the Destination of human existence. He is the copiously flowing fountain. Only through the living unity with Jesus Christ and mysterious contact with Him through faith, repentance, prayer and following His commands we can feel that our heart comes to life after being dead. The space of the heart is being filled with mysterious enliving joyful water - the Grace of the Holy Spirit. He witnesses about Himself: “I am the way, the truth, and the life” (John 14:6). Life with abundance. He is Light (1John 1:5), and there is life for all people in this Light. Thus, true faith in the Resurrected Christ, the faith seeing and hot, above all, tingles in a heart as a mysterious joy. “Eureka! Something was shown to me! I've found something what my soul has been looking for from my youth”.